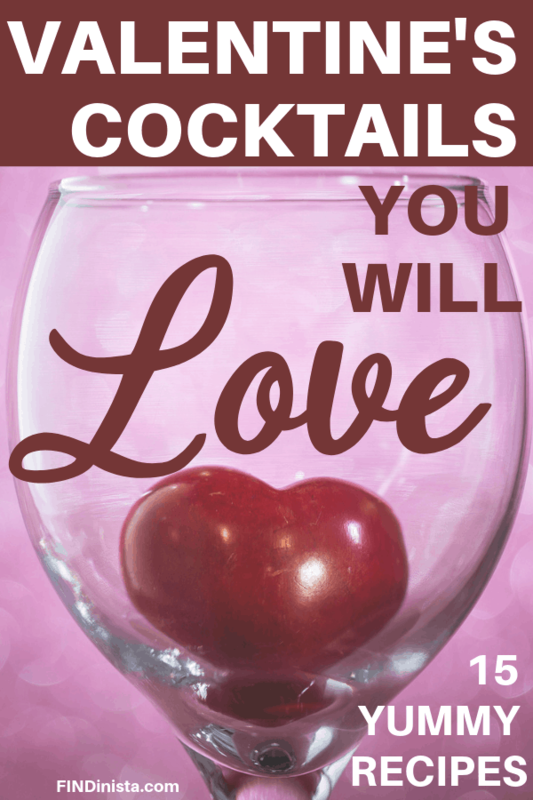 Are you looking for fun Valentine’s Day cocktail recipes? 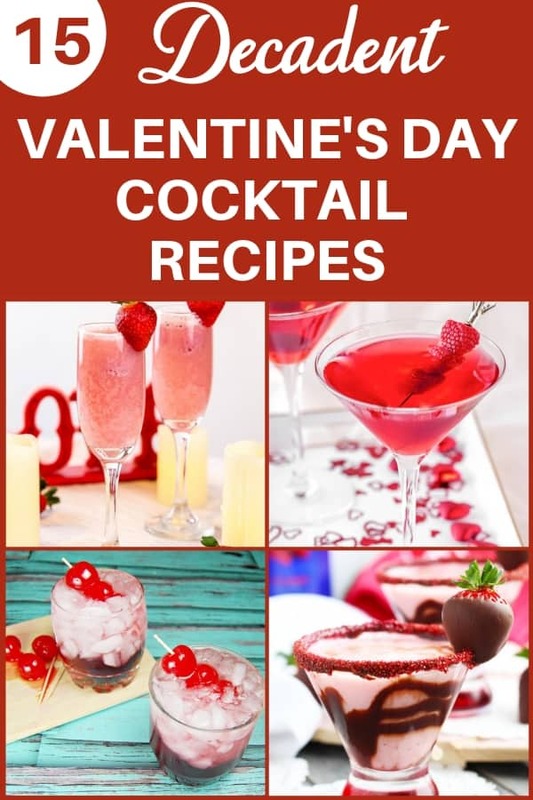 You’ll fall in love with these festive drink recipes that make wonderful choices for a date night or just hanging out with the girls. 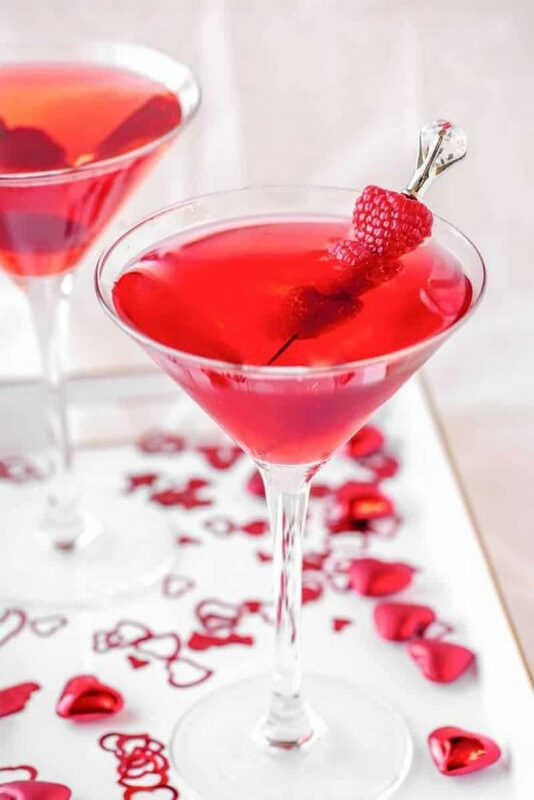 This vibrant red cocktail is sure to be a winner on Valentine’s Day! 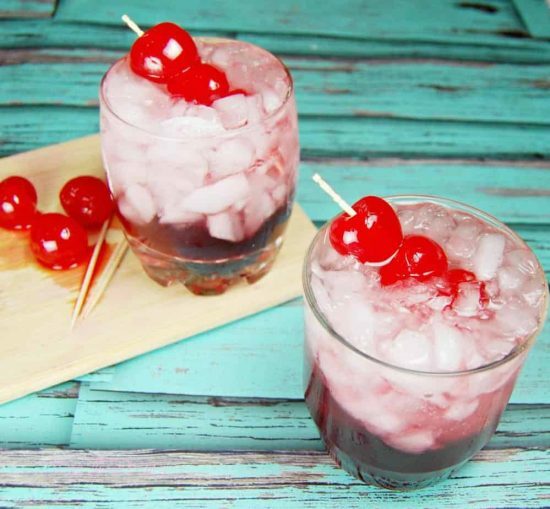 A splash of grenadine gives this drink its festive color. What’s Valentine’s Day without chocolate covered strawberries? 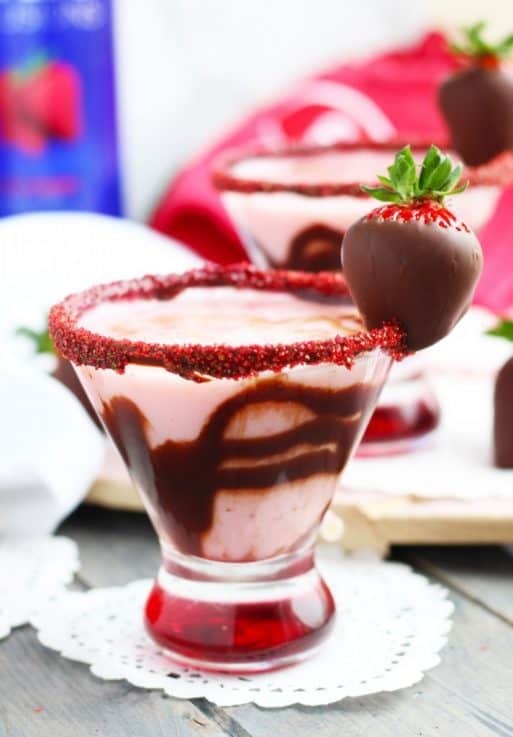 Take it one step further with this delightful chocolate covered strawberry martini recipe from 3 Yummy Tummies! 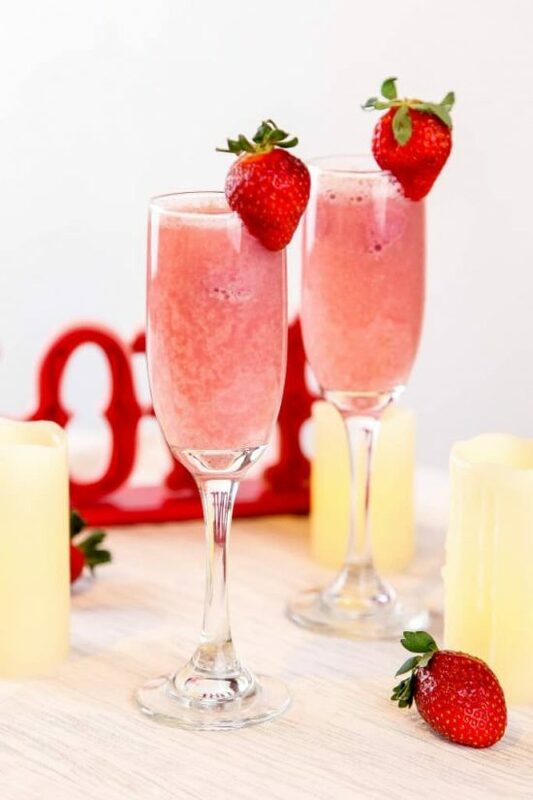 strawberry mimosas from Baking Beauty should definitely be on your menu. 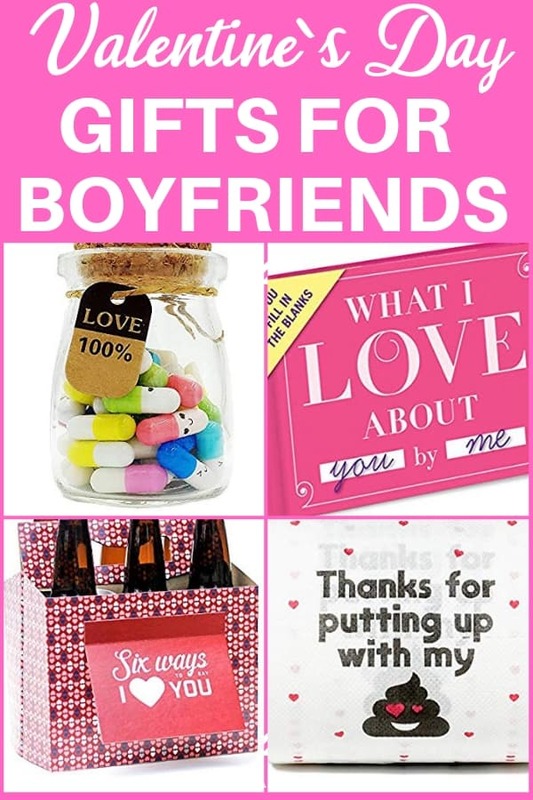 I love the idea of using dry ice to create a little magic for Valentine’s Day! 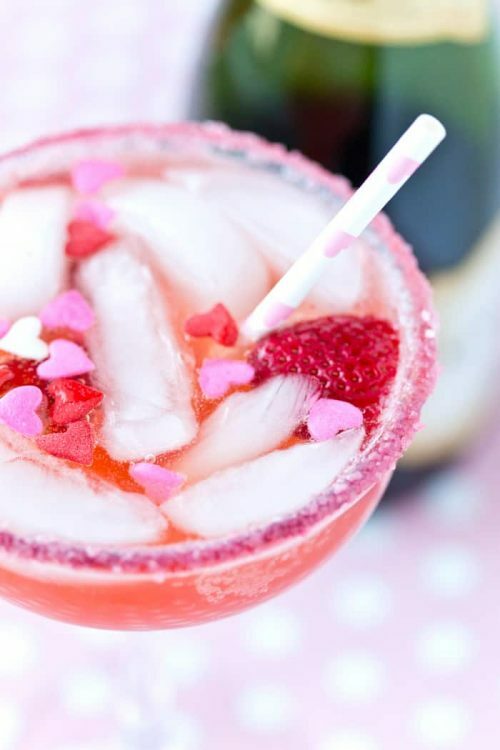 And the strawberries cut into heart shape are darling accents to any drink. 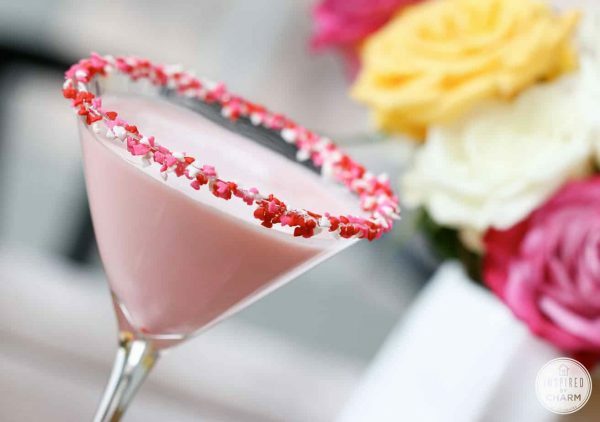 If you’re a martini fan, you’ll definitely want to try these pink martinis from Inspired by Charm. Similar to a melted milkshake, but with quite the adult kick from vanilla vodka, Godiva white chocolate liqueur and amaretto liqueur. Be sure to rim the glass with Valentine’s Day sprinkles! 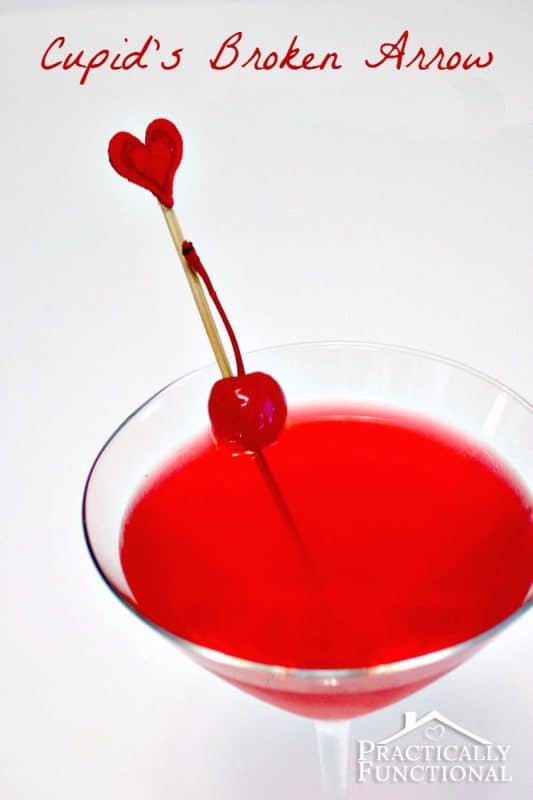 You can never go wrong with a bright red drink on Valentine’s Day! This easy-to-make drink from Practically Functional features mango vodka for a surprisingly sweet taste. I’m pretty sure red velvet cake was invented just for Valentine’s Day! No need to whip up the baking pans, though – check out this quick video on how to make a red velvet cake martini. Save your calories for chocolate and desserts! This refreshing beverage from The TipToe Fairy is made with low-calorie soda and Truvia to save calories. 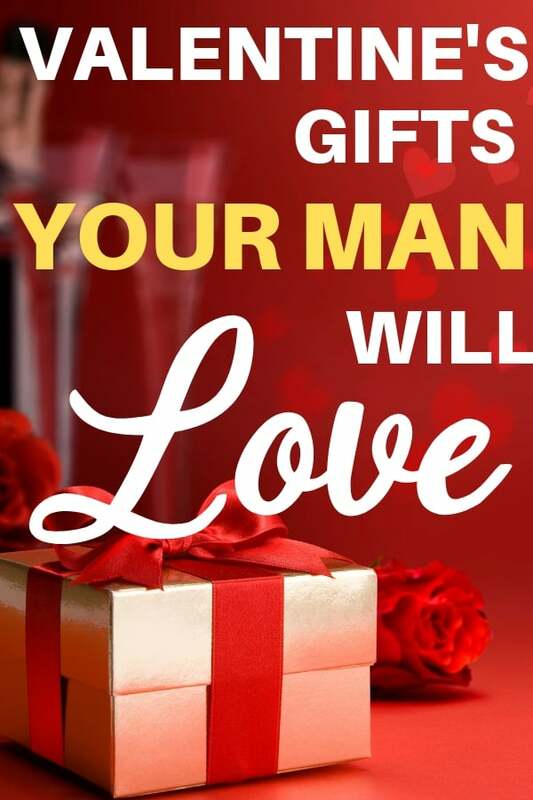 This scrumptious drink is featured on Carnival Cruise lines…if you can’t take a cruise on Valentine’s Day, then the next best thing is a cruise line drink! 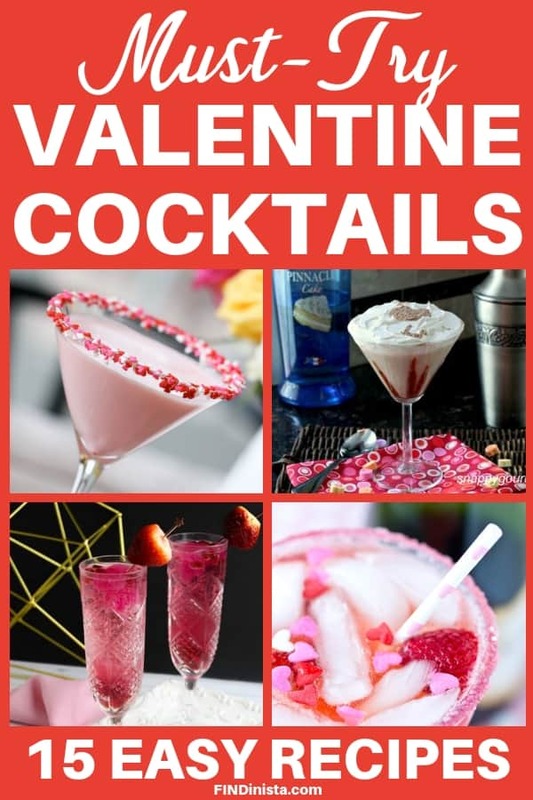 Need a colorful drink for your Valentine’s Day get-together? Make a batch of these up ahead of time. 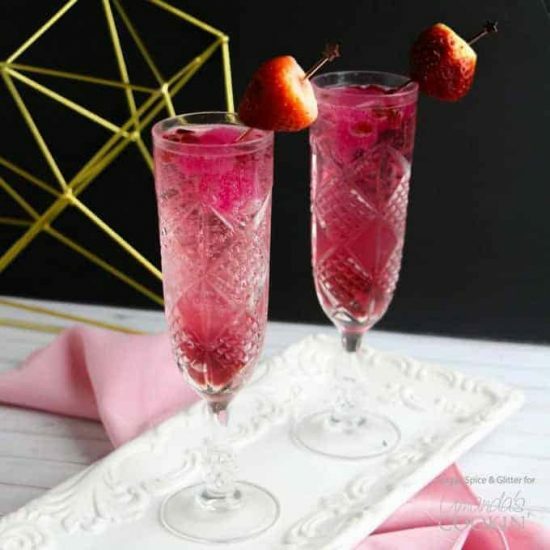 Combine two of my favorites – champagne and margaritas into one delightful cocktail with this scrumptious recipe from Pizzazzerie! Looking for an elegant cocktail recipe that’s sure to impress? 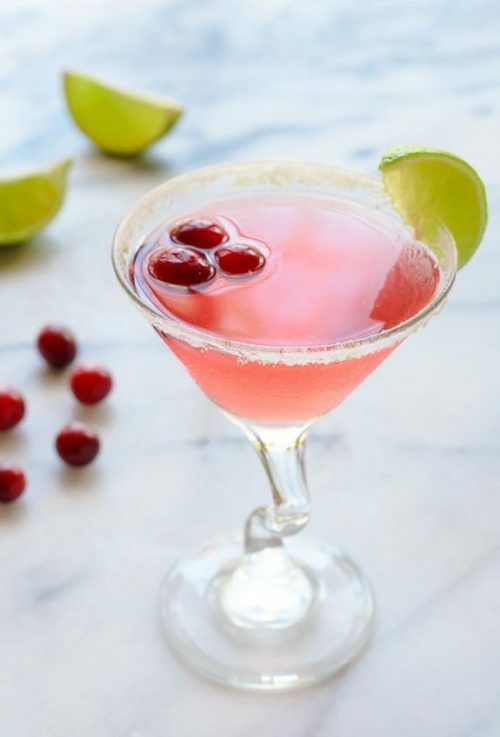 Check out this Unique St. Germain cocktail recipe from Well Plated! St. Germain is an elderflower liqueur from France that adds a touch of delicate floral taste…a great choice if you’re feeling a bit experimental this Valentine’s Day. 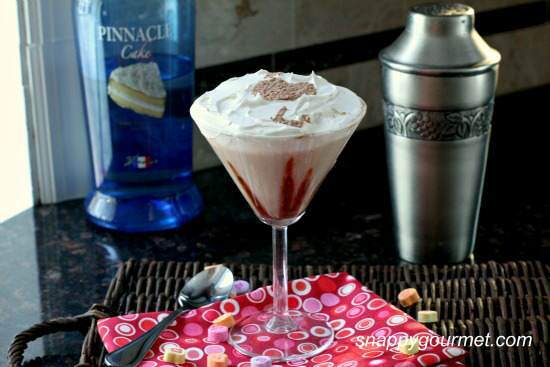 Drink your dessert when you whip up this delightful caketini! Be sure to check out the recipe directions on how to make a heart stencil at Snappy Gourmet. Chocolate, raspberry and cinnamon all mixed together in one gorgeous drink – yes, please! This fun pink cocktail uses just 4 ingredients, so you can whip it up in a flash! It calls for white cranberry juice, but you can use red cranberry juice if you want more of a red color.